Backtracking a bit, before our actual MOVE in January, 1967, Si and I drove down to Stewart to see what modifications were needed in our new home. Remember, we’d only been in the front room. Around midnight, we arrived at Stewart: it was so dark and cold yet I remember how clear the sky was and how bright and near the stars seemed. I also recall Si stopping to show me the constellations as we walked towards the Infirmary. I was too frozen to appreciate the lesson! Inside the Infirmary (the two-story one across the highway from the office), the one space heater would not light: Uncle Bill had not had the propane tank filled. The two of us slept on a single cot (the old-fashioned army style) pushed against the wall with another cot mattress and all the blankets we could find piled on top of us: it was 9 degrees when I woke up. I thought I would never be warm again – too late for second thoughts. Perhaps I should explain that I grew up in the country – without modern conveniences and had planned never to live in the country again! About mid-morning (temperature up to 15 degrees) Si and I excitedly walked across the highway for a first view of our new home. Anticipation quickly turned to dismay. Uncle Bill and Aunt Kate had built it as a summer residence, not a year-round home. This would be unexpectedly challenging for a young family: stairs ‘off-kilter’; very small closets; one bath, and the kitchen- well, it defied description. The hot water heater was in an adjacent building. I knew camp needs came first, and housing was secondary, but this was discouraging. That night Jim and Sally Avery came out to visit and see our ‘new home’. (Si had met both several years before, but they became really good friends during our ‘courtship’. Jim designed and made our wedding bands – including matching ones for Jon, Jane and Juli.) After walking through the empty house, Jim asked Si to show him the office across the street, which I thought a total disaster. After walking through both buildings, Jim said “Si, this is where you and Kathy will live.” He was prophetic. Si had allocated the profit from the sale of the home on Woodhaven to spend on where we lived: not much even in 1967! Mr. Moore’s estimate for what we considered basics in the house was far above that. Once again, Mr. Moore returned, this time to look at the existing Stewart office and re-estimate. (The back entrance was boarded up; the walls were unfinished plywood, and the ladies guest bath had the ceiling light taped to a window with adhesive tape; a fire extinguisher had gone off and stained part of the ceiling black; the hot water came from the same separate building – only further away. Get the picture? Challenging!) The good news was that a four room wing and bath had been added a few years earlier and it was all on one floor. 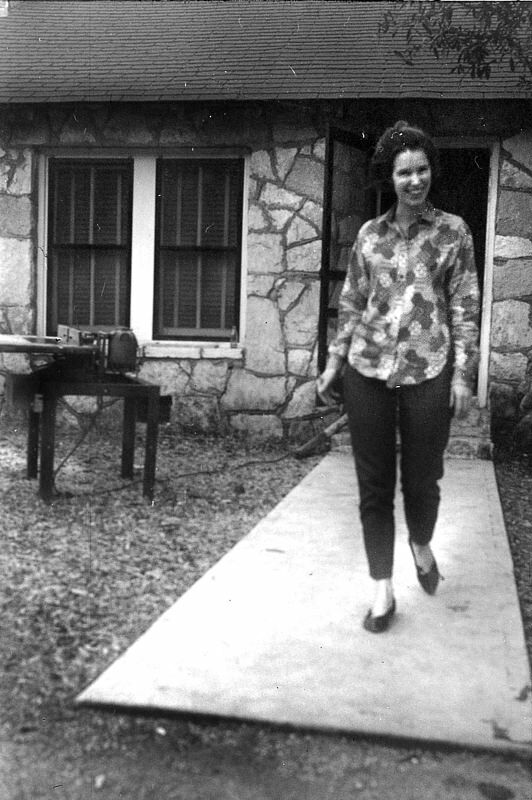 Kathy walking from the original Stewart office (now the Kastle). The table saw in front affirmed work was well underway! Soon we had a housing plan: we would initially live in the Jameses house while work started on the old office, converting an abandoned darkroom to a kitchen and putting in laundry connections; replacing the front bath floor (a workman fell through) and the broken commode (Si said the commode was my Valentine present that year). Painting and cosmetics would have to come later! Tile I had made in a TWU ceramics course could be used in the kitchen backsplash. Decisions made, Si and I headed back to Denton, talking Stewart all the way. As well as solving housing concerns, Si was also meeting with Uncle Bill and Jim Baccus (the foreman) to talk about routine maintenance, feeding horses, etc. Did I mention that the foreman’s house had a major fire after we signed the contract and was not properly insured? There went some more of the precious little operating cash we had! This was becoming scary! 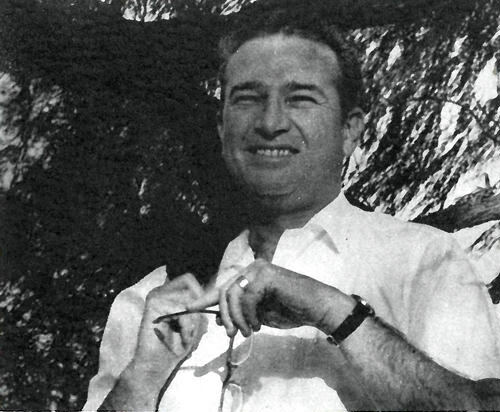 In the fall of 1966, Uncle Bill had sent out a letter to all the current campers and staff announcing the sale and introducing Si as the new owner. Si put together the 1967 camp brochure, with pictures and input from Uncle Bill. Si’s dad, a longtime prominent newspaper editor, edited and polished copy. He also wrote many press releases announcing the sale. Granddaddy and I both wrote many letters to prospects. It was a busy, hectic fall during the week as well as the weekends! Looking back, I wonder if Si and I ever properly paid tribute to our parents for all they did to help achieve his dream. 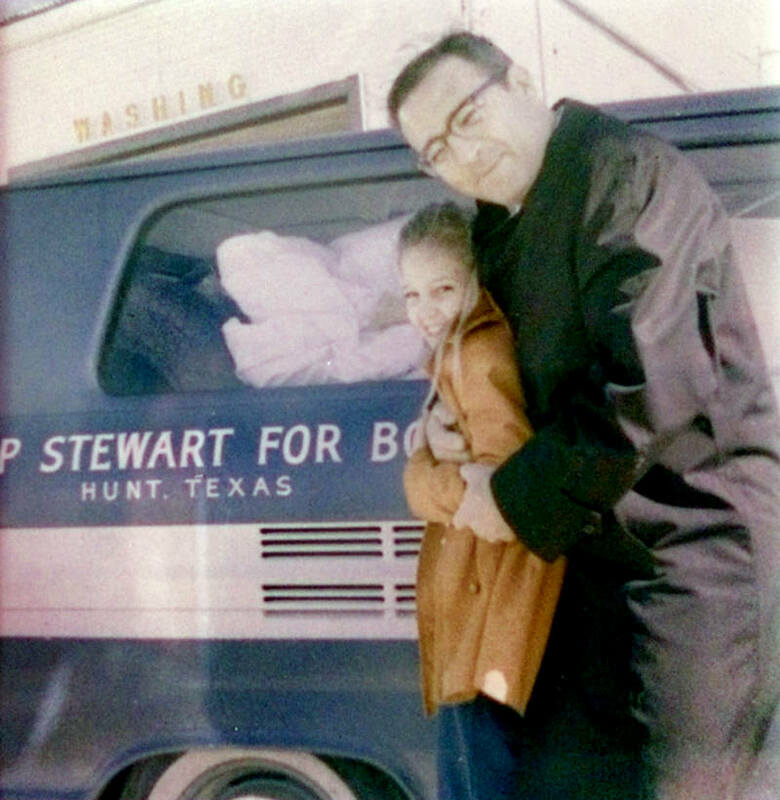 Not only did Si’s parents, who were retired, loan us the money for the initial payment, they made so many trips to both Denton and Stewart to help with the transition and stay with the children. It would have been hard to do everything without their contributions. 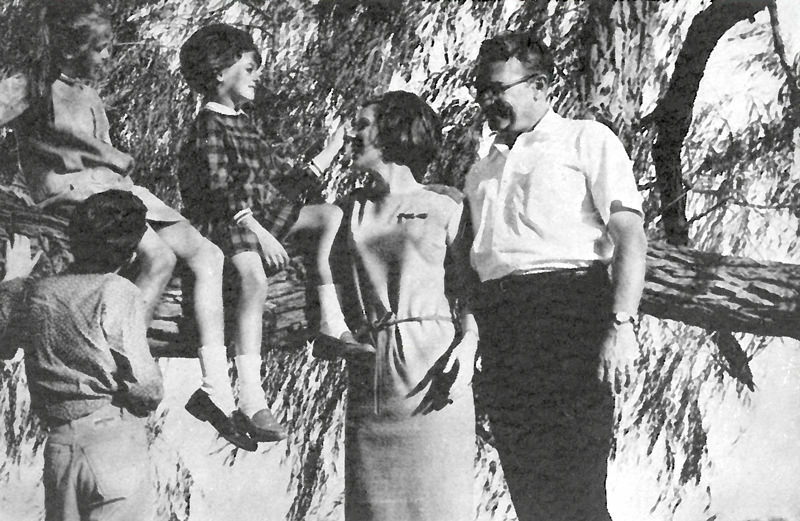 My parents and baby sister, Margaret, who was a freshman at TWU in the fall of 1966, also were wonderful babysitters but my parents’ main contributions to Stewart would come later. Back to our departure 50 Januarys ago: as I recall, we left Denton late morning. It was a clear, cold Saturday. The apartment (John B Miller, head of the TWU Art Department, knowing we were going to move, had called in late August saying he had a newly hired professor who wanted our house – NOW. We had quickly moved into a small apartment near the TWU Demonstration School for the fall semester, necessitating two moves!) was cleaned; the moving van gone, and we all, including Funny Bunny, were ready to leave. Our two-car convoy, Si leading the way in the awful Greenbrier, headed south; one more excited than the other that moving to Stewart was an actual reality. The Greenbrier made it almost to Goldthwaite before breaking down, near dusk. By the time we shifted enough stuff to fit everyone into the Galaxy, it was not only REAL dark but now truly cold. No garages were open on Saturday night. A broken blinking “Vacancy” sign led us to an old rock travel court across the highway from a small diner. They were our refuge for the night. Si got the name of a mechanic he could call Sunday. After hamburgers we went to bed – not a smooth beginning! Sunday morning after contacting the mechanic, Si left the Greenbrier keys at the diner and our journey resumed. The moving van was long gone, naturally, but we had finally arrived at our new home, a day later than planned. There was STUFF stacked precariously everywhere downstairs, except for what had been Uncle Bill’s office, which had an old desk, manual typewriter, and bills, waiting for day-to-day work to begin. Upstairs, we set up and made beds, found clothes for school the next day, located toothbrushes and ‘got organized’ as best we could. I honestly don’t remember how we ate that night! Sandwiches, perhaps! Early Monday the children enrolled in Hunt School, boosting its enrollment to around 30: six grades, three rooms and three teachers, including the superintendent. (That fall as I agonized over schools from afar, Inez Harrison was our Guardian Angel! A former teacher, she spent a day at Notre Dame and Hunt Schools – even ate lunch! She called to say “Hunt is great. Super teachers – you do not need to drive them to town each day. They can ride the school bus.”) From a university teaching school to three rooms was a change – but Inez was right: it was a good school – just different from their previous experience. My visit to the grocery store later that day was a calamity. I have always loved grocery shopping and Mimi Broun had highly recommended Ingram’s Sears Grocery. Armed with a long list, my basket filled, I went to check out. No wallet! No way to reach Si, but even if I could have, he had no way to bring me money: remember the Greenbrier? As I blushingly introduced myself and explained, one of the men at the counter began laughing uproariously. Introducing himself, Jay Colvin said he had been a camp cabinmate of Si’s ‘back when:’ what fun he had at my expense that morning! I was mortified. Eddie Sears, the owner, graciously opened a charge account. As I recall, we kept that account as long as Eddie owned the store. Do you know how limited cooking for 5 can be in an electric skillet? Pot roast fixed many ways became my specialty. Inez Harrison (she & Frank were mentors in so many ways!) called one day and said Ira Bell would bring us supper – something I could not fix in an electric skillet. All of us – even the dog – were elated. Ira Bell brought over a big delicious pot roast – but in a real roaster. Even the children never let on that was about all we’d been eating! Children in school, groceries purchased and work underway on living quarters, it was total focus on the day-to-day business of camp! I still remember opening my first camper application: it was for Malcolm Ross of Dallas. The accompanying photo showed the cutest little blonde boy. Dad Bill had written a letter about how much Stewart had meant to him and how excited he was to send his oldest son. Aunt Kate and Uncle Bill were both wonderful to share stories about existing and former campers, which helped me especially as it made them come alive as individuals, not mere names. I only hope I do as well for others as they did for me! It was 50 Januarys ago the Ragsdales arrived at Stewart– our adventures scarcely begun! 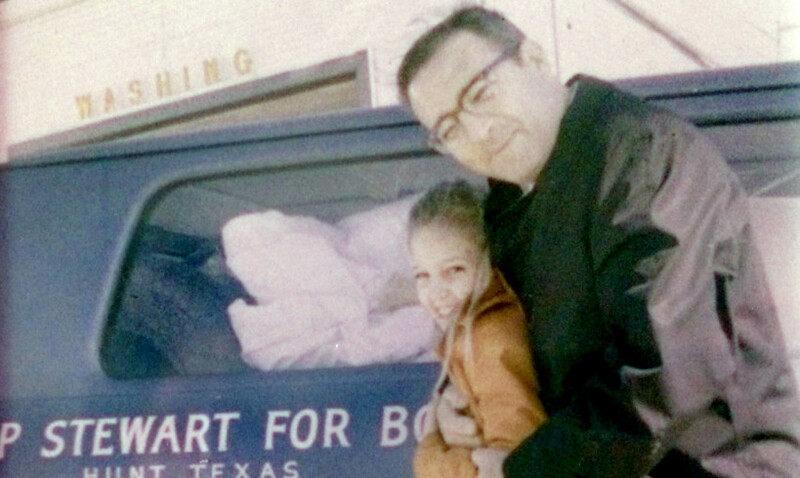 Silas B “Si” Ragsdale, Jr., began his camping career as a boy of 10 in the Texas Hill Country, and since that time summer camping has been his first love. His experience in this field has been widely varied from that of a camper to president of the National Camping Advisory Council. Also, he has served as counselor and camp director for Camps Fern and Rio Vista, and program director for the Texas Lions Camp. Although Si is recognized as being very successful in the Chamber of Commerce management field, in which he has been engaged for ten years, he eagerly accepted the opportunity of operating Camp Stewart, enthusiastic that he could help to continue in this area an outstanding camp for boys 6 to 16. A graduate of the University of Texas and Castle Heights Military academy, Si and his family, which includes his wife, Kathy and three children, Jon, Jane and Juli, will reside on the Camp proper the year round. Loved reading every word – thank you for sharing!